Maryland rallied to tie the game just before the half and scored three of the last four goals, including Caitlyn McFadden’s game winner with 5:47 left, for a 13-11 victory and the program’s 11th national crown before an announced record crowd of 9,782 at Towson University’s Johnny Unitas Stadium. Maryland set the stage perfectly to bring the NCAA women’s lacrosse championship back to College Park for the first time since 2001. The Terrapins came in as the No. 1 seed, boasted the stingiest defense in the tournament and, being so close to their home turf in Towson, drew a mostly partisan crowd of red-clad fans. Facing five-time defending champion Northwestern, however, the Terrapins found themselves in a battle from the start as the No. 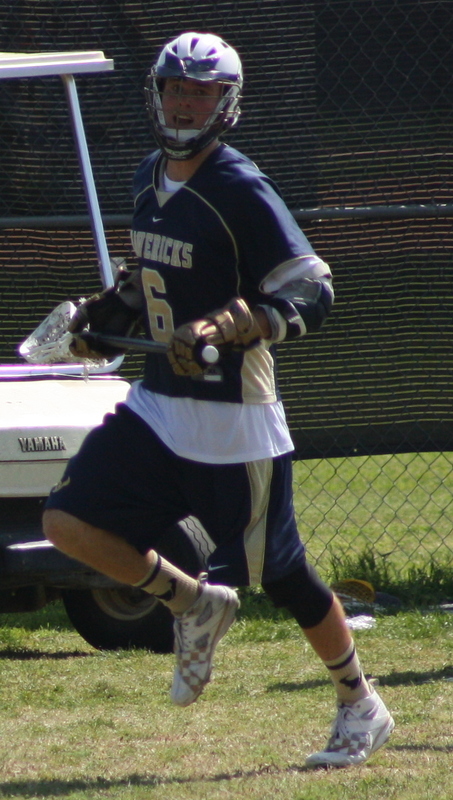 2-seeded Wildcats scored the first six goals. Once the Terps banished the jitters and got used to facing into the sun, they reigned all over Northwestern’s title streak. 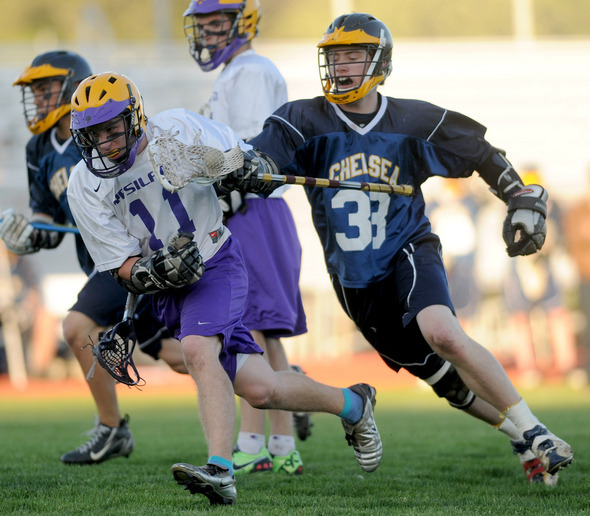 Lacrosse’s popularity and growth in Michigan reflects the national trend. In 2005, the Michigan High School Athletic Association took on lacrosse as an officially-sanctioned sport. Lacrosse is the third-fastest growing sport at the MHSAA level, behind competitive cheer and bowling, increasing from 114 teams (71 boys/43 girls) to 139 (87 boys/52 girls) in 2010. Athlete participation in lacrosse increased every year since its charter season, going from 4,467 athletes (3,032 boys/1,435 girls) to 6,385 (4,249/2,136) in 2009. Overall, participation in MHSAA-sanctioned sports has remained constant with a 0.07 percent decrease in numbers. “As far as coming out of the chute from the beginning of its sponsorship, I can’t say that any other sport has seen that explosion that lacrosse has had,” says John Johnson, MHSAA communications director for the past 23 years. “The only thing I can say is comparable was in the late ’90s until about 2005 in ice hockey, where we saw an almost doubling up. Ryan Deal scored with 1:50 remaining in overtime to give Bellevue its first state boys lacrosse title in 19 years with an 8-7 win over Mercer Island Saturday night before 2,650 at Seattle’s Memorial Stadium. It was the Islanders’ first loss in 22 starts this season, and their first to Bellevue since 2002. The overtime period was set up as Wolverines midfielder Eric Omri beat Islanders goaltender Hap Giraud with 26 seconds remaining in regulation to knot the score at 7. Omri’s goal four minutes earlier began Bellevue’s improbable run from a two-goal deficit to take the state title. The La Costa Canyon Mavericks, No. 2 in the sport’s state rankings, got four goals from senior midfielder #6 Ian Hare. Photo by LaxBuzz. “I guess that Torrey Pines monkey’s off our backs,” La Costa Canyon coach Dallas Hartley said after directing a perfect 23-0 season. The Mavericks had scrambled past the Falcons 7-6 when the teams met May 14 in regular-season play. Torrey Pines (17-3) outshot the winners, 37-26, this time, but trailed 2-0 2:13 after the opening whistle and 6-2 at halftime. The Mavericks, No. 2 in the sport’s state rankings, got four goals from senior midfielder Ian Hare, plus two each from midfielder Michael Gennuso and attacker Timmy Andrews. The winners were keyed by scoring spurts of four unanswered goals late in the first half and a stretch of four goals to one by Torrey Pines midway in the second half for a 10-5 lead. 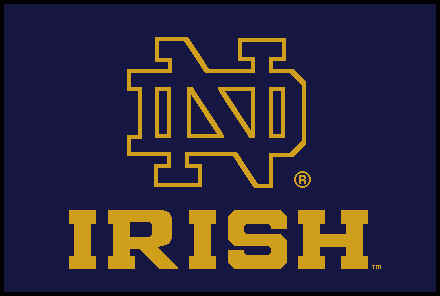 Notre Dame is located the farthest west, by far, of any team to reach the national title game. The N.C.A.A. men’s lacrosse tournament has long been dominated by one of the most persistent monopolies in sports. Only four teams — Syracuse, Johns Hopkins, Princeton and Virginia — have won the title since 1992. Despite the game’s rapid growth, it has flourished in the same areas and been dominated by teams wearing familiar jerseys. No. 5 Duke upset No. 1 Virginia, 14-13, on a Max Quinzani shot with 12 seconds left in a scintillating game. Unseeded Notre Dame cruised past No. 7 Cornell, 12-7, in the other semifinal behind brilliant play in goal by Scott Rodgers. Neither Duke nor Notre Dame has won an N.C.A.A. men’s lacrosse title. This will be the first time two teams will play for the title without one of them having won one since 1973. For perspective, that was the third year of the N.C.A.A. tournament. “For a lot of people, I think, having the two most successful programs in women’s lacrosse meeting is phenomenal,” said Sheehan Stanwick Burch, women’s lacrosse analyst for CBS College Sports Network. “Both teams are so athletic, so talented and really strong defensively. They have 15 national titles between them, including 13 of the past 18. No. 1 Maryland vs. No. 2 Northwestern for the NCAA women’s Division I lacrosse championship. When the teams square off at 5:30 p.m. today at Towson’s Johnny Unitas Stadium in their first meeting since 2007, they bring much more than their top rankings. They have 15 national titles between them, including 13 of the past 18. Maryland (21-1) has twice as many championships with 10 (one before the NCAA took over the tournament), but the Wildcats (20-1) have all the momentum. They come in as the five-time defending champions. The Terrapins have a record seven straight crowns, but they haven’t won since 2001, the last year of that streak. In the official Colorado prep history of lacrosse — girls were sanctioned in 1998, the boys a year later — a combined 25 titles have been handed out. Cherry Creek has won 12 of those. Coach Cayel Dwyer’s head felt a little lighter Thursday morning. Hours earlier, his Cherry Creek Bruins won yet another girls lacrosse championship — bringing the program total to eight. Dwyer had promised his team it could shave his head if Cherry Creek went undefeated en route to winning a state title. After a 19-0 season, the clippers came out. Enter your email address to follow LaxBuzz and receive notifications of new posts by email.